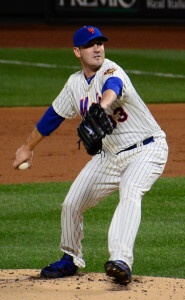 Obviously there is something wrong with Matt Harvey, so is it too soon to drop him? As of right now Josh Tomlin, Drew Pomeranz and Steven Wright are available. My Pitchers are Bumgardner, Syndergaard, Harvey, Stroman, Vince Velasquez, Smyly and Wacha. Your question came in as I was reading Eno Sarris’s excellent take on Harvey at FanGraphs on Friday. Eno takes a look at Harvey’s velocity, movement and command in the past, compares them to his recent struggles, and concludes, um, that if he pitches a little better he might get much better results. If that sounds like weak analysis, it isn’t at all. It’s nuanced and precise about a process that is nuanced but with a broad range of variable outcomes, not all of which actually have any precise cause. That, I know, doesn’t help much. You have a floundering pitcher (with a rich and productive history) who is hurting your team. So you need to know whether you should make a move now. How likely is Harvey to bounce back, and when? The Mets were concerned enough to consider sending Harvey to the minors, push back his next start, or take everything out of his locker and burn it. Really! John Smoltz reported last week that he’d studied the issue of young pitchers who appear in World Series, and discovered that many suffer a fall off the next season. Now, there are some issues with that. Harvey isn’t that young, for one, and one would assume young pitchers are generally pitching in the World Series because they had a better than average year. As we know, pitchers who have had a better than average (for them) year will usually have a not as good year the next year. This is what is meant by the expression regression to the mean. So, I’m not sure about Smoltz’s study, but I am sure that Harvey was on an innings limit last year for a reason, that for a different reason he blew through it, and as Eno points out, his velocity is down this year (at least some of the time, though Eno also points out that you might expect that to happen to a pitcher who is entering his 27th year). Pitchers spend their careers making adjustments as their physical abilities change. It’s tempting for us to look and see consistency as a virtue, but in most cases pitchers succeed with consistent performance, not necessarily consistent tools. Presumably, Harvey is working hard now to adapt to these small changes (he has a similar issue with his slider, Eno notes), and has the skills and mindset to do so. Given that, it seems to me there’s a pretty fair chance he’s going to be better than he’s been thus far. And while his ERA has been a disaster thus far, some of that appears to be a product of an elevated BABIP and diminished LOB rate. If his actual ERA were the same as his FIP (3.62) or xFIP (3.84) you probably would be more patient with him. His failures, in that case, wouldn’t seem quite so dire. Not so long ago I looked at how well regarded pitchers performed after a slow start. The upshot was that they generally performed better, and some actually perform as well as was expected of them in the preseason, after they get past the rough patch. So there is hope. The upshot from all this? I kind of wish I owned Matt Harvey. 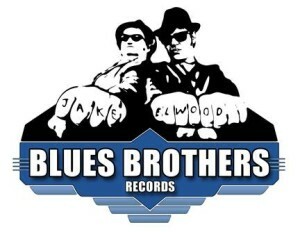 On blogtalkradio this week, having fun. ASK ROTOMAN: Quantity Quality for Quality Quality? 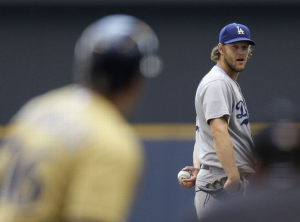 Would you trade Shelby Miller and Sonny Gray for Clayton Kershaw? There is no answer to this question. No thoughtful answer, anyway. You’ve left out an important component: Who replaces Gray when Kershaw replaces Miller? Without that piece of information it’s impossible to judge the wisdom of this deal. The answer is different if the missing sub is Mark Buehrle or Noah Syndergaard or Bartolo Colon or Jose Fernandez. See what I mean. Or, since you asked what I would do, I would trade Miller and Gray for Kershaw because I’ve got Jordan Zimmermann on reserve right now. But I don’t know what you’ve got. But let’s say you don’t have JZ on reserve. Let’s say you would acquire Kershaw and replace Gray with a replacement value starter. That’s a $1 player, expected to earn $1. If that’s the case than you would want Kershaw to be better than the Miller and Gray combined. So far this year that’s not the case. So far this year Gray is on pace to earn $40 and Miller is on pace to earn $44, while Kershaw is on pace to earn $16. But you’re not buying pace in your trade, you’re buying future performance. Preseason expectations for the three were starkly different. Tout Wars Mixed Auction paid $36 for Kershaw, and $17 combined for Gray and Miller. Can Kershaw return to form? Of course he can. He’s throwing about as well as he has in the past, but he’s allowed homers on fly balls at twice the rate as last year, and well above his career mark. Still, he’s allowed six homers in 60 or so innings. Last year he allowed nine in 190. That costs runs. He still excels in every category except BABIP. There is some speculation he’s tipping his pitches. There is other talk that he’s throwing too many first pitch strikes, and hitters are swinging earlier in the count to avoid the slider. Hard to say for sure, but both of those things are both small potatoes and fixable. He’ll be fine. How good is Sonny Gray? Good, but not quite this good. He’s a ground ball pitcher, so it isn’t surprising he hasn’t allowed many homers. But he’s allowed homers on only three percent of fly balls. That number is lower than Kershaw’s rate last year, and should rise to closer to 10 percent. With homers, again, come runs allowed, and the ERA and Ratio will go up. Gray looks to me like a $25-30 pitcher, which is plenty good. And what the heck is up with Miller? I’ve often wondered why people give Miller such a bum rap, and have been pleased that so far he’s been showing that I’m right and everyone else is wrong. But it isn’t really true, I’m afraid to say. Nick Lampe at Beyond the Boxscore does a good job of killing the straw man of Shelby Miller’s Cy Young Award candidacy this year, one I wasn’t arguing for, but what matters to you is whether Miller can sustain his $40 season, or whether he’s going to regress to the $2 expectations. Like Kershaw and Gray, Miller hasn’t allowed many fly balls. He’s also allowing few line drives and is getting lots more soft contact than ever before. We don’t know if that’s because he’s taking a new approach or getting better results with his old approach. He changed teams in the offseason and is working with new coaches, which can sometimes make a difference. He’s throwing more cutters and fewer curve balls, which can make a difference, too. Still, he’s not an elite strikeout guy and his control is fine, not great. Even if he gets lots of ground balls, as he has been, he’s going to give up more runs. But that might make him a $15 to $20 pitcher the rest of the way. Hmm. $25 for Gray plus $15 for Miller equals $40 for Kershaw. If you have a strong replacement for Miller, make the trade. If not, you’re likely treading water unless you land a waiver wire find. WHEN WILL CUBS RUSSEL BE QUALIFIED 4 2 BASE? There are so many things wrong with your question, they must be addressed. A salutation isn’t required, but it is nice. I’m fine with just Rotoman! or Hey Rotoman! or Hey! Or even something without an exclamation point. Secondly, we are too deep into the 21st century for anyone to not know about the caps lock. Don’t use it to communicate. It is that easy. WHY? Because it feels like shouting. It isn’t that hard to type “for.” Or FOR if you must. If you’re going to type 2, you might as well type 2B. That gets it done. 2 BASE sounds like a small boy band. The premise of your question is either impossibly specific or hits the sweet spot of my opinion. 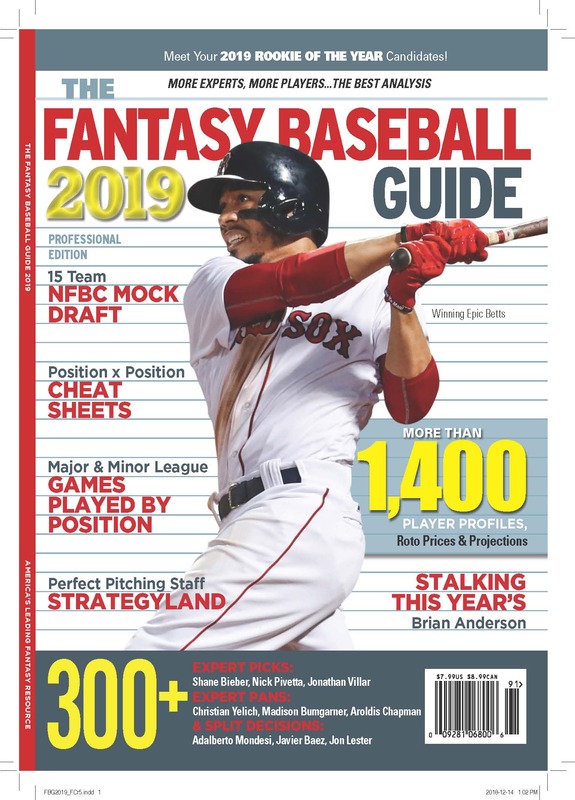 If you want to know how many games it takes for Addison Russell (LL at the end, or I prefer ll) in your fantasy league to qualify at second base, I have no idea because you didn’t say what league you’re in. And since looking up rules is easier, there is always a link on your stat service, than typing with thumbs, you should look there. If you’re asking how Addison Russell is performing as a second baseman, since he has always played shortstop until this year, I’m interested, too. 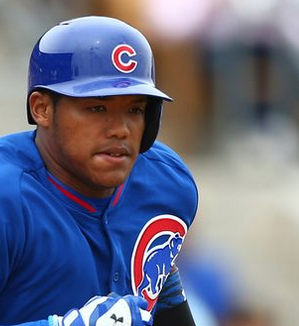 Russell had only played five minor league games at second base before the Cubs called him up to the major leagues. And he’s played five major league games at second base. He made one error in each five-game set, which is too many, but errors are not a fair way to grade a fielder, at least not entirely. Joe Maddon says Russell is doing a fine job as a fielder at second base, which could be the truth, or Maddon could be blowing smoke. 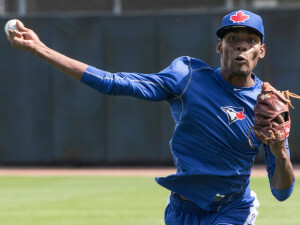 We do know that Russell is a fine shortstop, so any problems he has at the less-demanding second base position are likely due to the learning curve, which he should quickly move along. The big issue for Russell right now is the bat. He drove in two with a double yesterday, but he’s struck out 12 times in 22 AB. Even for a Cubs player that’s a lot. But Maddon seems fine with letting him work it out, and the Cubs have been winning, so maybe he’ll get a chance to develop his big league talent in the big leagues. With Cam Bedrosian (LAA) being called up from the minors, I have a tough decision to make: I hold both TJ House (CLE) and John Danks (CHW) on my squad. I think Bedrosian has a closer in waiting feel about him and LAA looks like they will need one before the season wraps, so one of my starters needs to go. 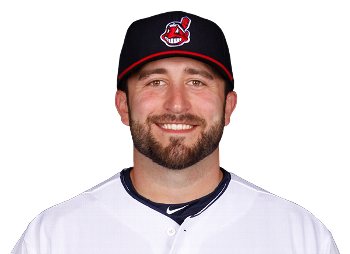 I see nothing on the projected pitchers list about House in CLE and Danks has been stinking up the joint in CHW. I need innings and can afford a bad outing or two if I can get 6 IP per start. Your suggestions on who to keep and who to toss? (12 team AL only 5×5 Roto with regular categories, with the exception of S is S+1/2H). 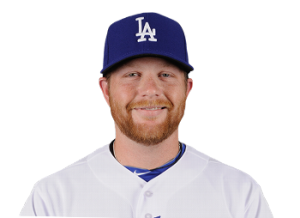 With a 14.14 ERA, why is this man smiling? I’m listening to the Luther Vandross version of the Bachrach-David classic (see below). Thanks for putting me in mind of it. First off, you might be right about Bedrosian, though if the Angels were to move Huston Street it’s hard to see the job going to anyone other than Joe Smith first. That makes Bedrosian a real longshot, but since your league values holds he has some potential value. As for Danks vs. House, I had Danks as a $1 pitcher in the preseason, and House as a $5 pitcher. Not much has changed since then. House is not a big strikeout guy, but gets lots of grounders. He’s been terrible so far, and his velocity is down, but it appears this is more a question of finding a rhythm than health. So, expect him to get back to the decent-enough form he showed last year. Maybe not quite as stellar an ERA, but lots of ground outs and something close to 7 K per 9. Danks has shown in recent years that as bad as he can be sometimes, he’s not an overall disaster. He only strikes out five or six per nine and shouldn’t be expected to have an ERA better than 4.25. So, House is clearly to be preferred, despite his cold start. He’s slated to be the Indians starter this coming Tuesday. I can’t promise he’ll go six innings, and would probably have written different advice if the Talking Heads Burning Down the House was the first song that came to mind. I am working on a trade for Justin Upton. The other team wants me to give him Devon Travis or DJ LeMahieu as well as someone else. Who should I give him? Both LeMahieu and Travis are on fire right now. The Blue Jays second baseman is hitting .356 with three homers (and no steals), while the Rockies second baseman is hitting .444 (!!!) with a homer and a steal. Needless to say, neither is quite as good as they’ve looked so far. I feel as if we have a pretty good handle on LeMahieu. He has earned $13 and $14 the past two years, with modest power and stolen base potential. That makes him a solid addition to any team, but not a differencemaker. Travis is more interesting. 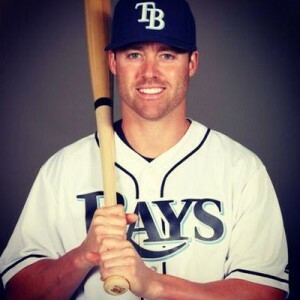 He’s posted solid numbers in the minor leagues, but did so as a collegiate player who was a little old for each level. He didn’t rocket up through the minors, the way highly-skilled players often do. He’s shown decent plate coverage and strike zone control, and some power, but it isn’t clear how that is going to translate to the big leagues over the long run. My projection for him shows him to be similar to LeMahieu, but with more speed. But he also is more unknowable. He’s younger, with more growth potential, and is perhaps a little more athletic. That suggests there is a chance he could get better than anyone (except maybe the Blue Jays) expected. So, I would put it this way: If you want to play it safe, hold onto LeMahieu. He’s got a job, is solid but not exciting. If you want to gamble, hold onto Travis. Maybe the power is for real, the speed will kick in, and he (plus Upton) will make you a winner. 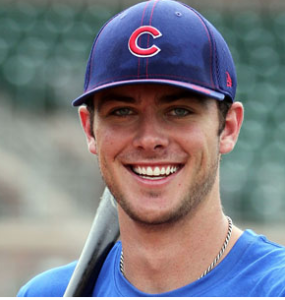 ASK ROTOMAN: Kris Bryant is Coming! Kris Bryant is Coming! I am in a 12 team H2H Points league which is very competitive between the guys I work with. My question pertains to Kris Bryant…I am not going to ask you when is he going to get the call. I am sure you are tired of that. I have him sitting on my bench and it looks like he is going to (once he gets called up) take one of my two Utility spots. They are right now filled with Stephen Vogt and Brandon Belt. I was wondering which of the two to keep knowing that most likely somebody else would put in a waiver claim on either. The only reason I can imagine you would consider dumping Belt in favor of Vogt is if it’s a good strategy to have a backup catcher available. I wouldn’t do that, so my answer is that Vogt is the guy to dump when Bryant is called up. When will Bryant be called up? This coming Friday is deadline number one. 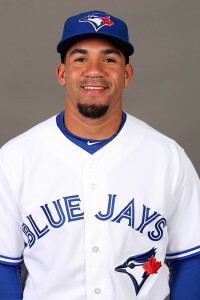 If he’s called up after April 17th, the Cubs will gain an additional year of control before he becomes a free agent. The next deadline is sometime in June. If he’s called up after that, he will avoid super two status in 2017, and thus won’t go into arbitration until after the 2018 season. Waiting until June would save the Cubs millions of dollars over the next six years, which is why they might waid. On the other hand, they’re off to a good start, one game over .500 at this point. Bryant is again crushing Triple-A pitching, to an OPS tune of 1.089. There is clearly little for him to learn in the minors. Plus, the Cubs are playing Mike Olt and Tommy La Stella at third base. Even if Bryant struggles with big league pitchers, he’s better than either of those two. Which is why I think we’ll see him sooner rather than later. ASK ROTOMAN: Boring or Flashy? Do you think it would be wise to cut Tyler Clippard and pick up Miguel Castro of Toronto? Tyler Clippard is the closer on the Oakland Athletics, but has not yet had a save opportunity in this young season. It’s expected that Clippard will return to his usual role as a setup guy once Sean Doolittle comes off the DL, which is expected to be in late May. Miguel Castro is a hard-throwing youngster who has surprisingly ended up as the Blue Jays closer just a week into the season. He’s a lively performer who already ranks fourth on the list of 20 and younger pitchers with the most saves since MLB went to Divisional play in 1968. And that’s the rub. We’re in mostly uncharted territory here. Terry Forster had 26 saves in 1972 as a 20 year old, Victor Cruz had nine in 1978, and Don Gullett had six in 1970, all before the era of fantasy baseball. Is a 20 year old with just 15 starts in Single-A last year able to hold onto the closing job all season long? And what are the chances that Doolittle doesn’t make it back in five weeks, or he cedes the closer job even if he does make it back? There are no hard and fast answers to any of these questions. What I think we know is that Castro probably has a slightly higher save ceiling than Clippard, but Clippard might be a little more reliable. That is, Castro is the greater unknown here, and thus comes with greater risk, but also has a better chance to get a lot of saves this year. For me, this seems to be a bit of a sideways move for you. Probably worth doing if Castro is cheap, certainly worth doing if you don’t have to throw Clippard back, but in all likelihood, not a reason to bet the farm.